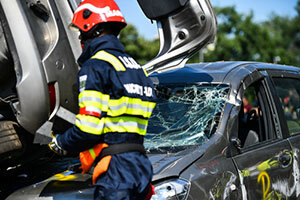 Were you hurt in a Tavernier car accident in the Florida Keys? If so, then you will likely want to identify and speak with the best Tavernier car accident lawyer you can call. But how do you find that type of lawyer? Just like anything else in life – do your homework. Review the lawyer’s website; Google the lawyer; check out prior client reviews; and interview the attorney. Once you feel comfortable enough with your own investigation, then make the best choice. At the Wolfson Law Firm, our Tavernier car accident lawyers have helped clients from Tavernier, Monroe County, the Florida Keys and throughout South Florida since 1963. As Florida Keys personal lawyers, we know how to help and what to do. Our consultations are confidential and completely free. All you need to do is call us right now for your consultation at (305) 285-1115. Our Tavernier personal injury legal team is standing by waiting for your call. At the Wolfson Law Firm, the Tavernier injury attorneys have represented injury victims who were hurt in Tavernier car crashes. Our Florida Keys wrongful death lawyers have also served the families of those who were killed in Tavernier wrongful death accidents. At the Wolfson Law Firm, our Tavernier injury lawyers serve all of the Florida Keys and South Florida. We completely understand how difficult it can be to get your life back together after any type of accident. That is exactly where and how the Wolfson Law Firm can assist you and your family. You can work on your recovery and rehabilitation while we work on your medical bills, lost wages and getting you the financial recovery that you deserve. Understand that our consultations are 100% free. We never collect a fee unless and until we obtain a financial recovery for you. Our Florida Keys personal injury legal team is available to talk with you at (305) 285-1115. Please give us a call today and let us get to work on your Tavernier accident case. Our Tavernier personal injury lawyers are proud to serve South Florida including but not limited to Cudjoe Key, Plantation Key, Key Largo, Monroe County, Duck Key, Islamorada, Marathon, Florida City, Homestead, Key West, Big Coppitt Key, Stock Island, and Big Pine Key.